Leafy Crucifix ~SP~ 1 3/4 in. Italian oxidized silver plate crucifix with leaf accents. 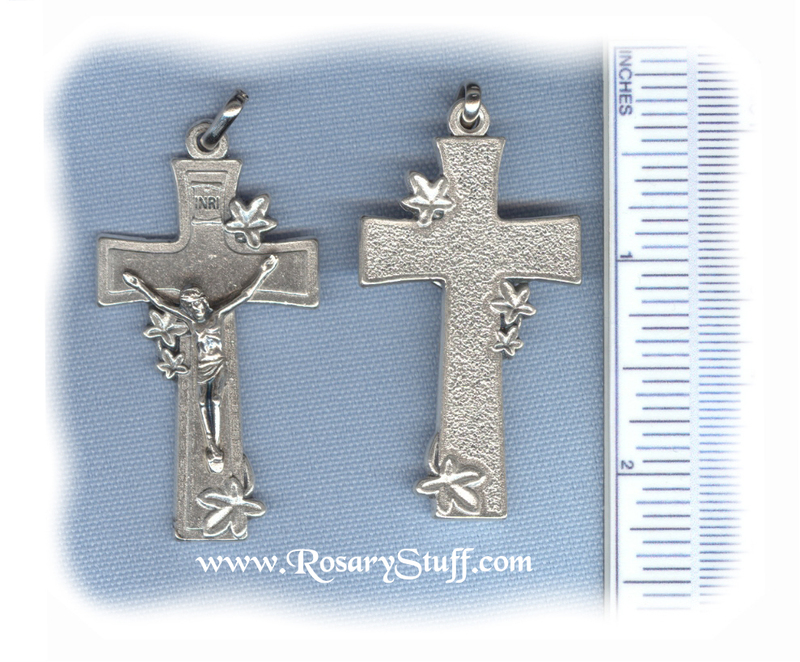 This simply beautiful crucifix features delicate leaf accents on the front and back. Sized at a little over 1 3/4 inches tall (not including ring) and 1 1/16 inch wide. Celtic Cross ~SP~ 1 3/8 in. Rose Tipped Crucifix ~SP~ 1 3/4 in. Pope Francis Offical Antonio Vedele Cross (Smaller) ~SP~ 1 1/2 in.